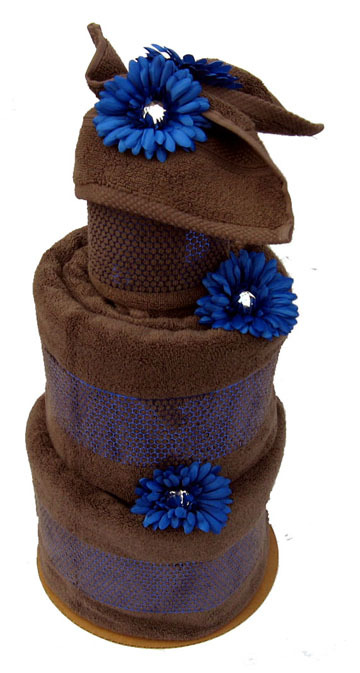 This beautiful towel cake contains 2 luxurious bath towels, 2 luxurious hand towels, 2 luxurious face cloths, decorations, and ribbon. Great wedding gift, shower gift or shower centerpiece. Comes in cello wrap with a ribbon and card.